The goals of the Student’s Scientific Association (TDK) Council’s new presidency include maintaining the high quality of TDK Conferences, as well as organizing a new, more informal series of events. The new president of the TDK Council as of January 1, 2019 is Dr. Attila Szijártó, while Dr. Tamás Radovits has been elected deputy president and Dr. András Fülöp as secretary of the organization. This year’s Hungarian-language TDK Conference, as well as the International Students’ Conference will be held on February 13–15 at the Nagyvárad tér Theoretical Building (NET), to which students have submitted 380 abstracts, while the international section will feature 68 presentations from 10 countries. At the proposal of the TDK Council’s previous president, rector Dr. Béla Merkely, the council unanimously elected as its president Dr. Attila Szijártó, an associate professor at the 1st Department of Surgery. The post of deputy president will be filled by Dr. Tamás Radovits, an associate professor at the Városmajor Heart and Vascular Center, while Dr. András Fülöp, a resident at the 1st Department of Surgery was elected secretary. 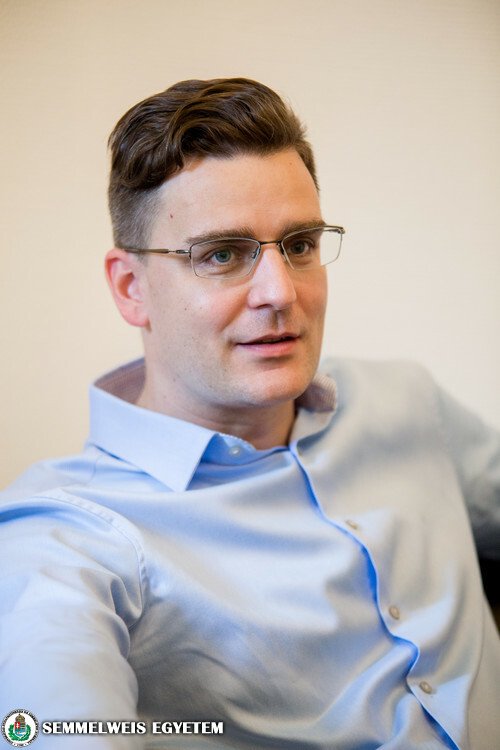 “It is a great honor to carry on this task, as thanks to the results achieved over the past ten years, the TDK conferences and the students’ association itself now operate in a structure and organization that is in line with international conferences and associations,” Dr. Attila Szijártó told our website. In addition to maintaining the quality that has been achieved, the new president also believes it is important that students taking part in the work of the TDK have the opportunity to get to know each other better and that everyone have access to the resources available at the various workshops. He also thinks they should consider the further expansion of the TDK Council to include students. His additional plans include launching a new, more informal series of events, likely starting in May, where teachers who have been named outstanding TDK educators, as well as outstanding TDK students, can talk about their lives and careers alongside the cultural programs offered. Starting in September, they plan to launch a six-month methodology course, which provides students with practical information to help them integrate faster into workshop activities (e.g. teaching methodologies, biostatistics) and develop their presentation skills. At present, close to 1600 students take part in students’ scientific association activities at the university. According to the new president, more emphasis should be placed primarily on involving international students, by presenting the opportunities TDK affords to English and German-speaking students. This year’s university Medicine, Dentistry and Pharmacy TDK Conference will be held on February 13–15 at the Nagyvárad tér Theoretical Building. Students have submitted more than 380 abstracts to the TDK. In line with traditions, three practical competitions will also be held at the same time as the conference. The goal of the Surgery Manual Competition, the János Kabay Pharmacy Practical Competition and the Jolán Bánóczky Practical Dentistry Student Competition is, in addition to the scientific presentations and studies presented at the conference, for students to also demonstrate their practical skills, which are important in a clinical setting. The best student presentations will go on to represent the university at the National Students’ Scientific Conference (OTDK) to be held in April and which will be hosted this year by Debrecen. 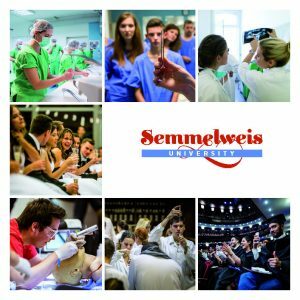 For the eighth time, an international conference will also be held parallel to the Hungarian-language TDK, called Semmelweis International Students’ Conference, which this year will feature 68 presentations from 10 countries. The full program of the TDK conference can be found in the latest issue of Orvosképzés.